** FANTASTICALLY REMODELED HOME WITH NEW ROOF, NEW WINDOWS, AND A HUGE BACKYARD! 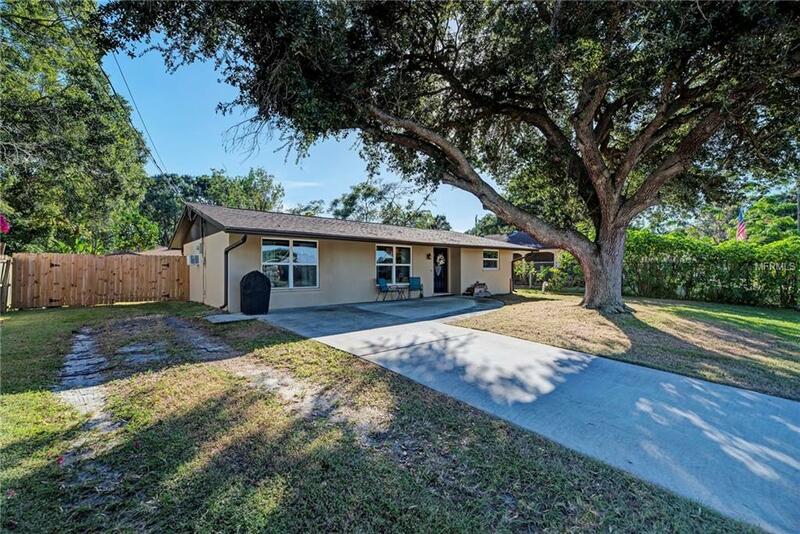 ** Located on a beautiful tree-lined street in perennially popular Sarasota Springs, this home is light, bright, airy, and COMPLETELY move-in ready! Inside you'll find an oversized kitchen with solid wood cabinetry, gorgeous new vinyl plank flooring in all the common areas, built-in bookshelves, and an in incredibly rare pantry/laundry room with tons of storage. Outside, a big screened porch overlooks the fenced backyard and detached storage shed; a deluxe wood playset can be included or removed at your preference. ** HOME FEATURES: * NEW Roof in 2016 * Impact Windows * Life-Proof Wood-Look Vinyl Flooring * NEWER High-Efficiency A/C w/ Heat Pump * Privacy Fence * Detached Shed * Parking for Truck, Trailer, or Boat * No Deed Restrictions * Updated Kitchen and Bathroom * HUGE Pantry/Laundry Room * Great Curb Appeal * Lots of Little Touches * AWESOME Condition * Great Central Location * This Is the One! Listing provided courtesy of Nexthome Excellence.